I launched my freelance developmental editing business in 2015. I work with academics at all stages of the publication process to develop and improve their book proposals, book manuscripts, and journal articles. I serve clients in media studies and communication, cultural studies, sociology, gender studies, ethnic studies, information science, STS, and adjacent fields. My clients have published with or are under contract with presses such as Duke University Press, New York University Press, MIT Press, Yale University Press, Harvard University Press, Cambridge University Press, Stanford University Press, University of Michigan Press, University of Massachusetts Press, Rutgers University Press, and The New Press. 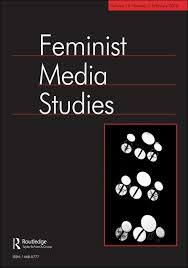 From 2013–2018, I served as associate editor of the journal Feminist Media Studies, responsible for co-editing book reviews and the Commentary & Criticism section of the journal. I co-edited this special issue of the Journal of Visual Culture with Laine Nooney in 2014. It contains articles by Lisa Nakamura, Nick Douglas, Limor Shifman, An Xiao Mina, Jonathan Zittrain, and more. All the articles are available open access.